I've never quite got the hang of eye makeup, although I love a good mascara, eyeshadow has never been my thing. I think it can go wrong so easily and I've been happy enough without it. But recently, with a few events coming up I'm feeling the need to wear a bit of something on my eyes so I decided to encourage me (just as gym-goers buy new gym gear) I would update my (very) old eye brush collection. 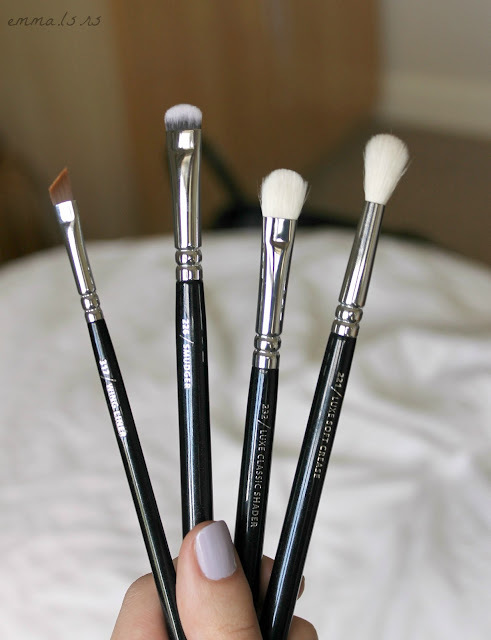 Not wanting to spend a lot of money as I'm not sure how much use these brushes will get, I had a look through the Zoeva brushes on Beauty Bay (very quick delivery I might add!). After eyeing up their classic eye collection I decided to just buy a few I wanted. The 232 / luxe classic shader is super soft and perfect for applying colour all over the lid for a great base. 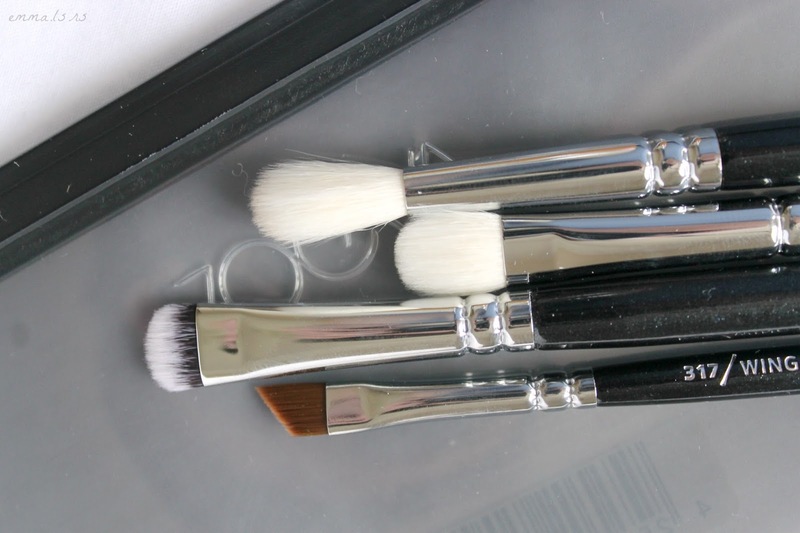 I then use the 221 / luxe soft crease brush to blend colours together. This brush has been likened to the famous MAC 217 as its so soft and fluffy! The 226 / smudger is then ideal for applying shadow along the lower lashline due to the short bristles and thin shape which give lots of control. 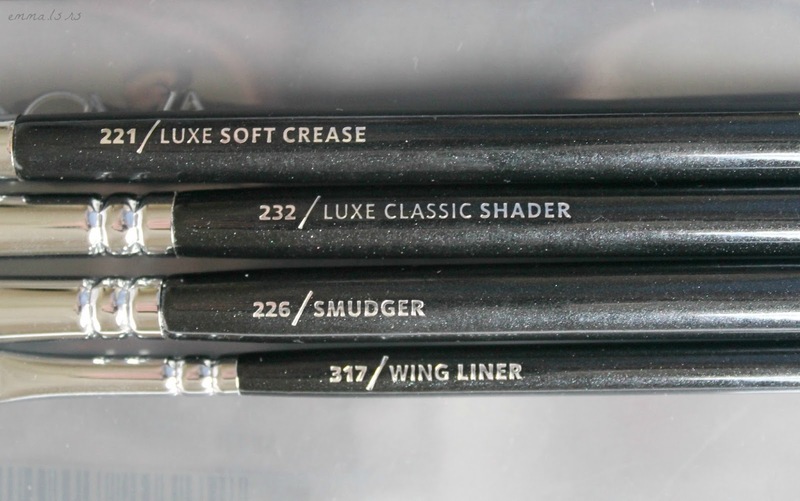 Its also great for, as the name suggests, smudging pencil liner for a smoky look. And finally, if I want to add some gel liner, I will use the 317 / wing liner to create the perfect feline flick! I've needed a new liner brush for such a long time so this is a great upgrade from my grotty old one which I've used for years. I wouldn't say I'm converted to an everyday eyeshadow/liner wearer just yet but that time might be coming! I bough the Zoeva 102 silk finish a while back and literally fell in love and, ever since, have been trying to stop myself from buying them all. I especially want to try the 230 and the 317! It doesnt help that beauty bay has free delivery over £10-just makes it even more justifiable! Comments make my day and I love to hear what you think! I will always try to reply and I am keen to look at your blogs too, so leave a link!